It takes ages to reach Bangalore city from its airport. So I was glad my destination this time was only thirty mins away. Passing through the expansive GKVK University of Agriculture campus, the cab reached the gates of NCBS. I made an entry. 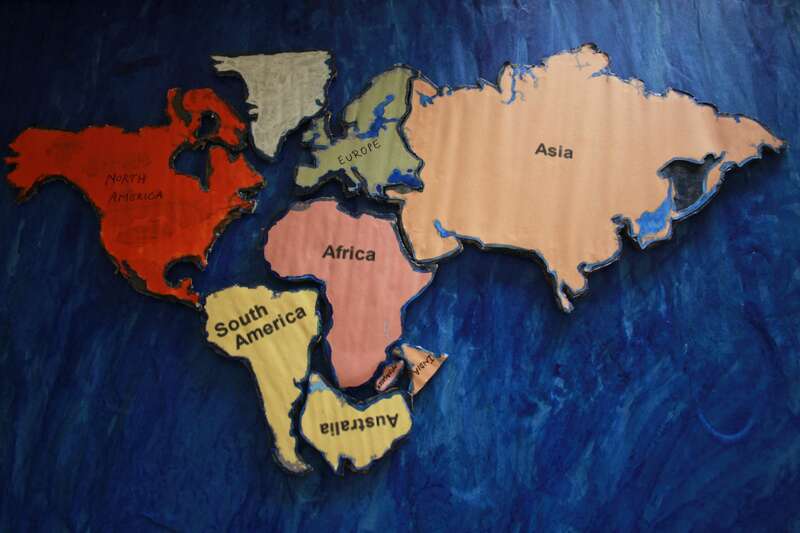 Arguably one of the best places to pursue research in India, NCBS is a bubble. Many academic campuses are soothing but this one is a special treat for the senses. It’s compact and delightful, thanks to the upkeep of the aesthetics committee, I hear. The main building housing the big labs overlooks a vast lawn that is spotted with fragrant tree flowers. 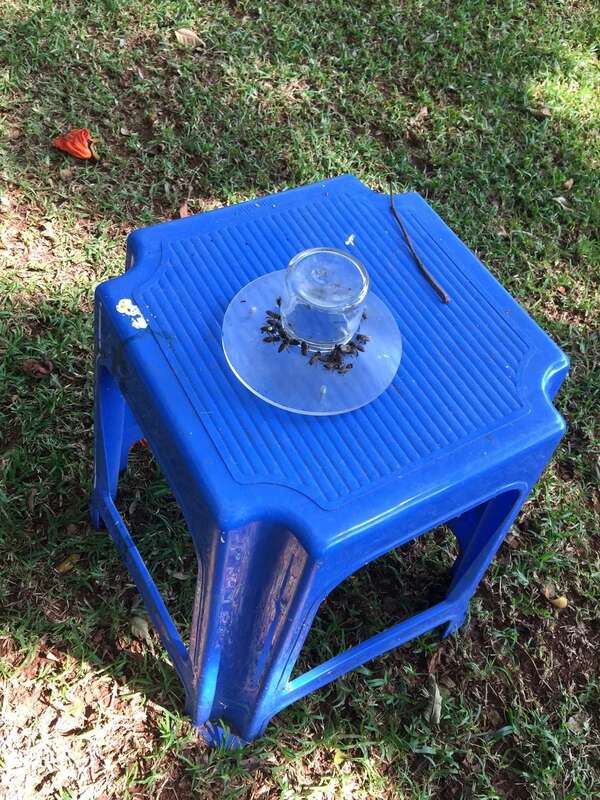 Walking around I pass some sort of feeding experiment involving bees carrying numbered tags on their backs and a mound labelled “Termite experiment in progress: Keep away”. The central green space is bracketed by a two-storied food hall with a water-front with botanically labelled decorative trees. On the other side, shuttles to the Bangalore science mothership IISc await passengers. Staff and students at NCBS also benefit from a seemingly bustling daycare centre that could easily be the envy of most establishments in the country. After many labhopping expeditions across the country, the contrast between smaller institutes and elites like this one was stark in my mind. Do the NCBSians know how good they have it? I wonder at every bend. I am here to deliver a talk titled: “How to do Science Journalism independently?” at the orientation day for the ‘Women in Science: Science Journalism’ workshop organised by IndiaBioscience – a program rooted in NCBS that is catalysing outreach of life science research in the country. The three-day workshop (where I learnt a lot about how to do science communication from trainers from Coventry University, UK) ended with my first talk on ‘Gender, Patriarchy and Feminism’ something that has been in high demand by readers and supporters of this website. 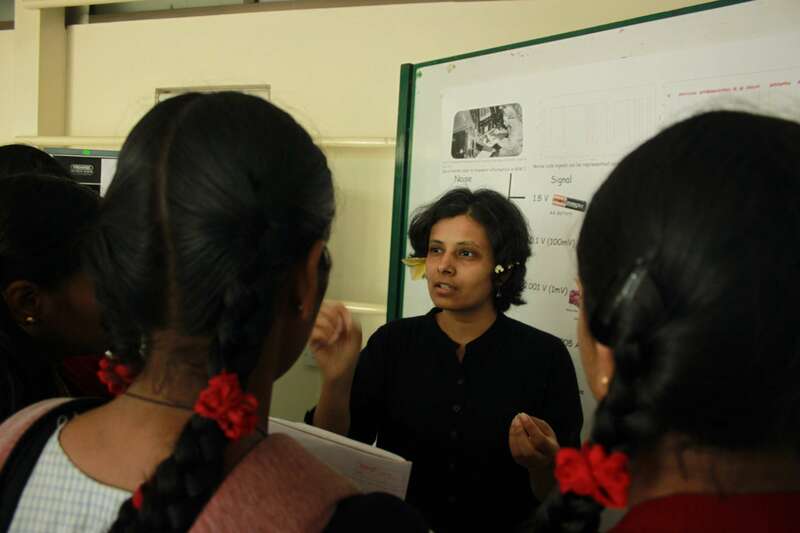 I am happy to get to know some amazing women science communicators our country is waiting to hear more from (many of them, including participant Divya Vishwanath who profiled NCBS’s Uma Ramakrishnan for TLoS, are published science writers). Most participants are PhD students or post-docs at established labs. One asks me at tea-break: “You write about issues of women in science, what do you think is the solution to my *personal family situation* that threatens the future of my research career?” I have nothing to offer. I feel numbed. 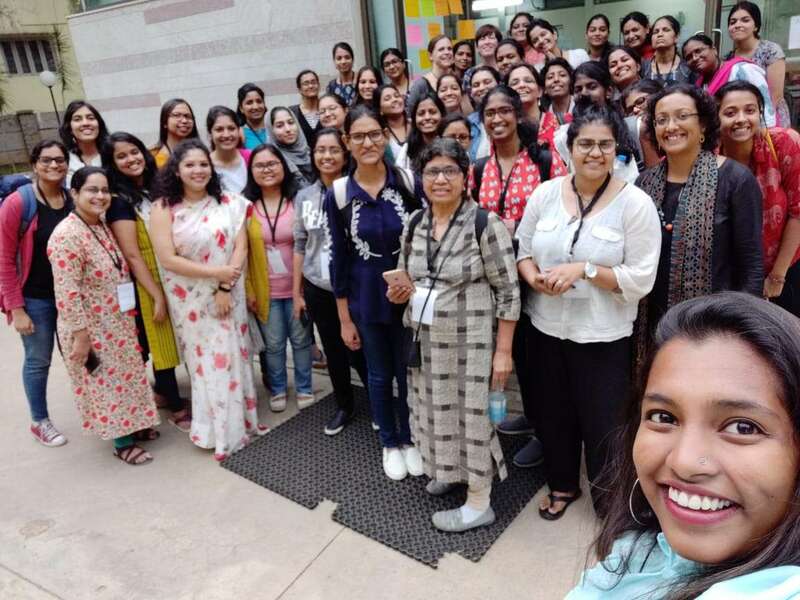 A majority of the participants at this workshop and it’s sister workshop for Women in Science Administration, also organised by IndiaBioscience, are pursuing scientific research currently, but are inclined to make a career in science communication and/or administration. This is great news. 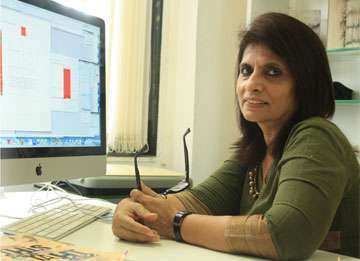 Indian science needs so many more science communicators and administrators, and if they are women, that’s even better! But looking a little deeper, I realise there are two more reasons behind such workshops. The first reason has to do with the woman-only nature of the workshops: it is part of the much-needed effort to keep women in science, as they tend to drop out. If they don’t continue their research for whatever reason, perhaps they will be able to stick to careers associated with scientific research. “Do intentions like these reinforce a stereotype of women offering the supportive/nurturing parts of the scientific sector?” I ask IndiaBioscience head Smita Jain over breakfast the next day. “We want to acknowledge science communication as a mainstream career, not an alternative one,” she responds with resolve. The second reason that dawned on me over discussions at NCBS is the lack of lab jobs. Many Indian scientists, especially in biological sciences, have kept on repeating – there are a lot more PhDs now than India has jobs for. The very concerning situation of Indian postdocs, who are pitted against and disadvantaged over foreign-trained Indians for positions at top institutes, only compounds this problem. While building the capacity for enhanced scientific productivity is the aim, it is definitely wise in the present scenario to train a generation of communicators and administrators that will enable this productivity. 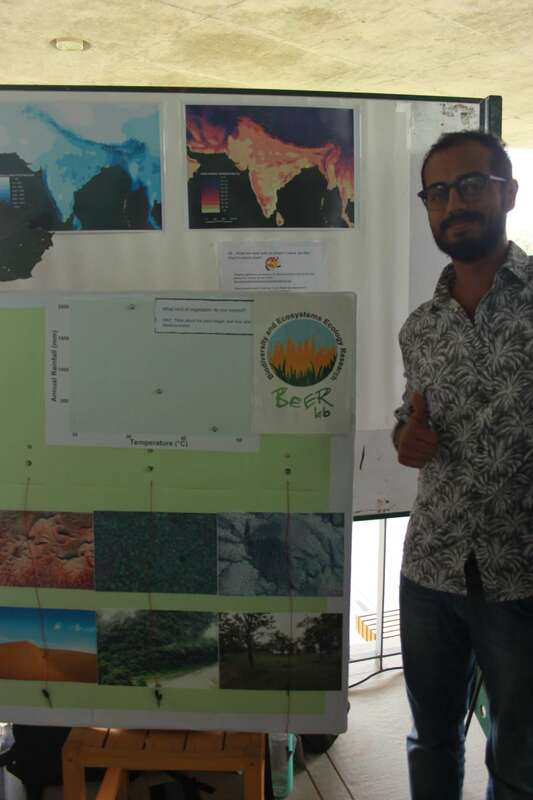 As the workshop ended, I was tempted to stick around for two science outreach events at NCBS. “Every lab has prepared games for the Open Day tom. Many school students will be here,” someone said. “There’s an art-science thing later,” said someone else. So I stuck around. 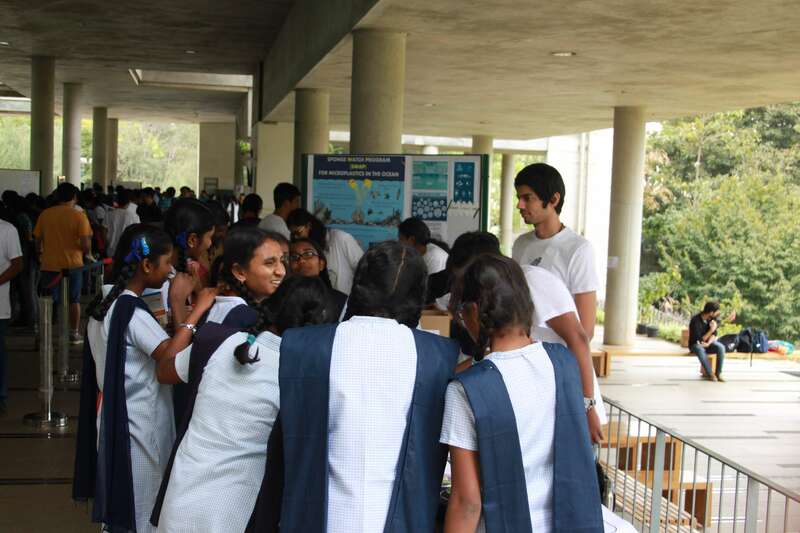 NCBS Open Day: Recycling game and a lot of info on microplastics. Takeaway: Sponges are cool and PEG no more. 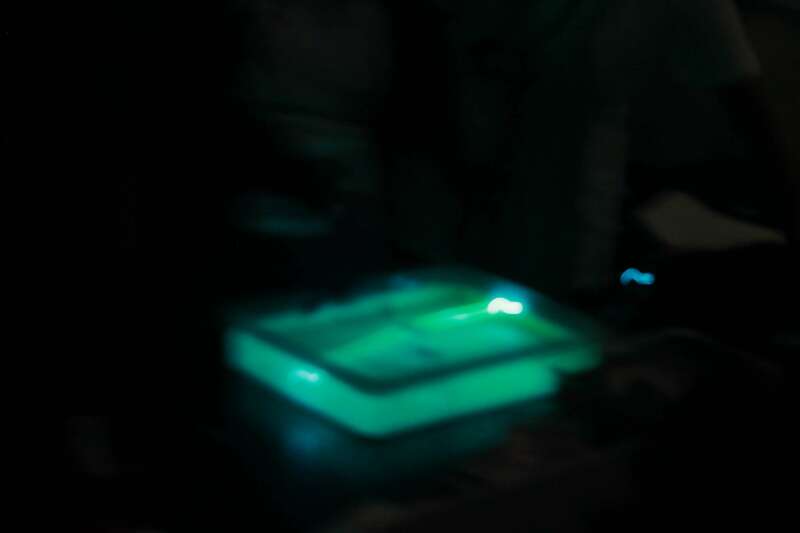 NCBS Open Day: Blurry picture of fluorescence in the live microscopy explainer room. 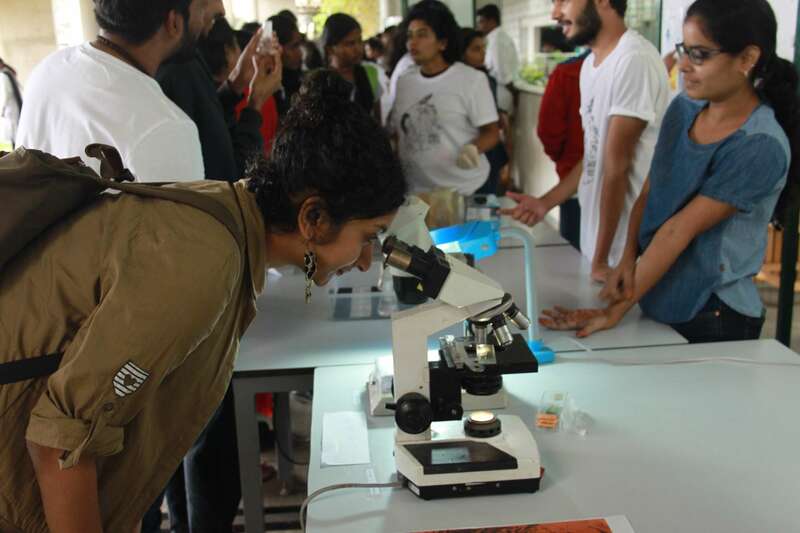 NCBS specialises in research in the biological sciences; the labs here are investigating wildlife conservation, ecology, molecular biology, computational biology and many other advanced fields of research. 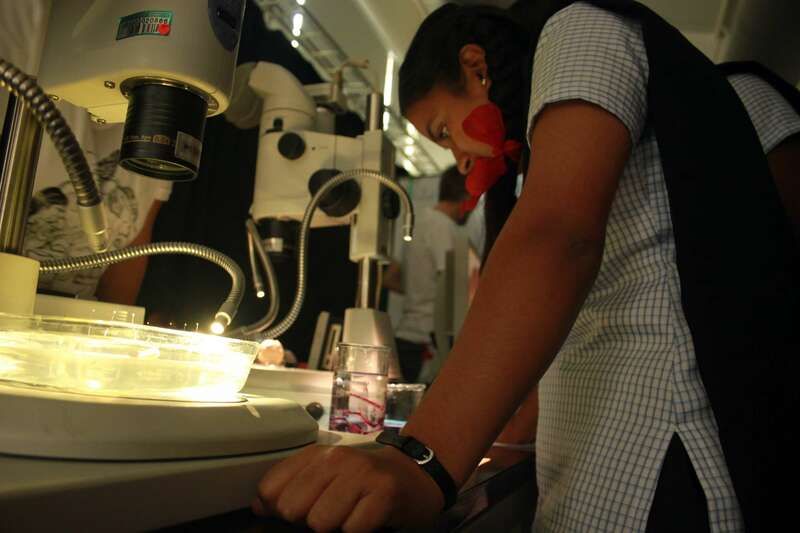 NCBS science truly contributes cutting-edge ideas that are to be found in India. But, the aesthetics and profiles don’t tell all of the stories. The faculty list on the website shows that it is male-dominated despite the biological sciences’ reputation as a more ‘female friendly’ science. Although it is considered a progressive place founded by visionary molecular biologist Obaid Siddiqi, its history of leadership is also male-dominated. “I’m often asked to tone down by ‘feminist’ comments since they are perceived as arrogant,” one participant of the workshop tells me. The discussions and affirmative actions taking place at premier institutes like this one will ripple to other scientific institutes in the country – those that are far more funding-starved and suffer through wider gender gaps and are in the grips/abandonments of politicians. Moreover, the institute is in a good position to lead with the openness and rigour it was founded on. The NCBS family is growing. Two new institutes C-CAMP and InSTEM are additions to NCBS campus. 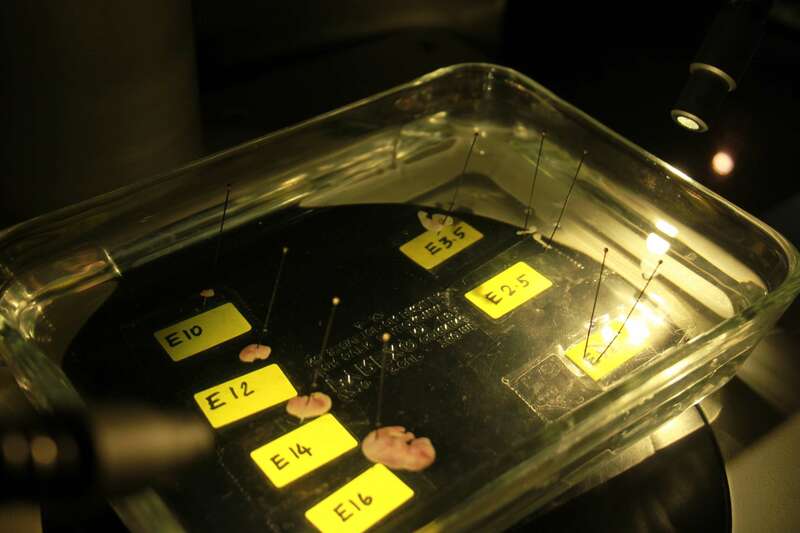 Together, they make the Bangalore Life Science Cluster. Each comes with its own specialisation, InSTEM focuses on cell biology and C-CAMP on commercial technology from biological research. The Prime Minister’s visit in 2015 is a good introduction to the cluster. To me, the new buildings look sparsely inhabited, but they come with two gallery spaces. 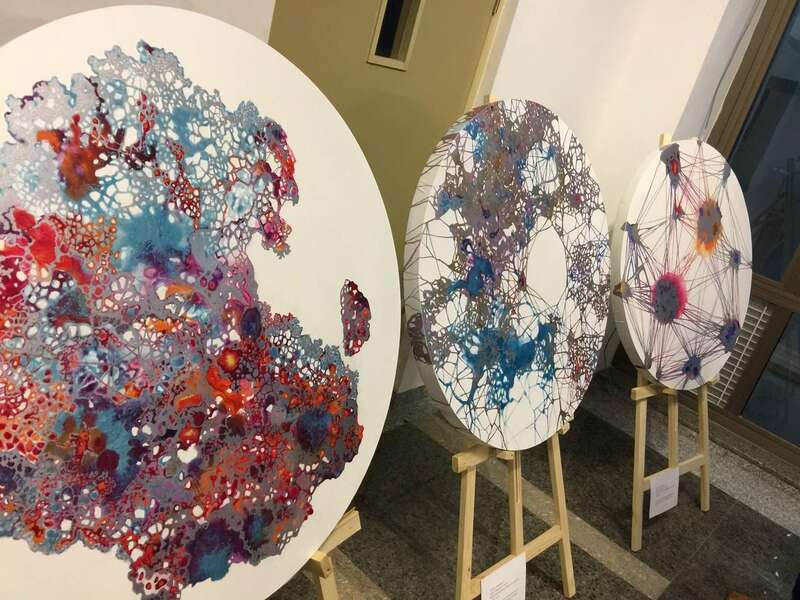 One of them was the venue for the exhibition: Through Clusters and Networks, an art show whose works were a result of contemporary artists Dhara Mehrotra’s 8-month long interaction with Biocluster scientists as Artist-in-Residence. Surely, the Bangalore science community has a lot to offer. In fact, my wishlist for science events filled up very quickly while I was there. The same week was also the Science Slam at Alliance Francaise, the Infosys Science Prize announcements and a talk at the local Planetarium. There’s only so many events a science enthusiast can attend. This kind of potency in the science community here is unmatched anywhere else in the country. 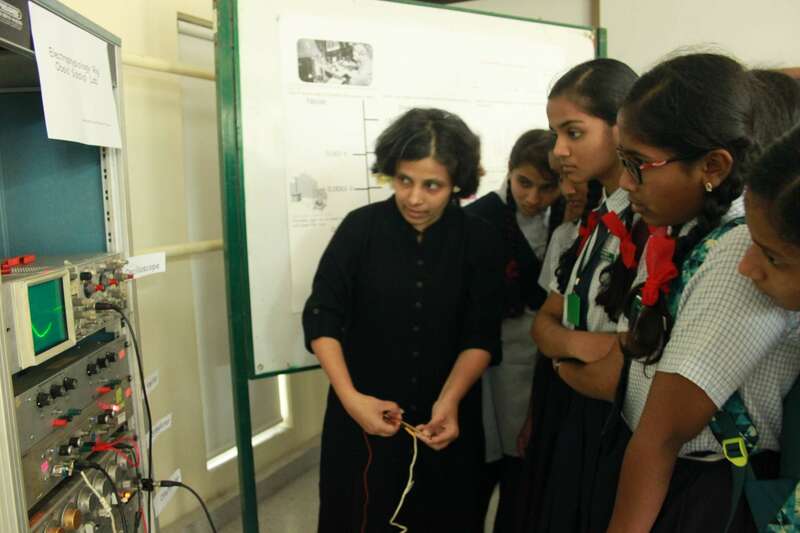 As I leave the city, I’m left with questions like: Is there truly a ‘Bangalore model’ for science outreach that can be replicated in other cities? 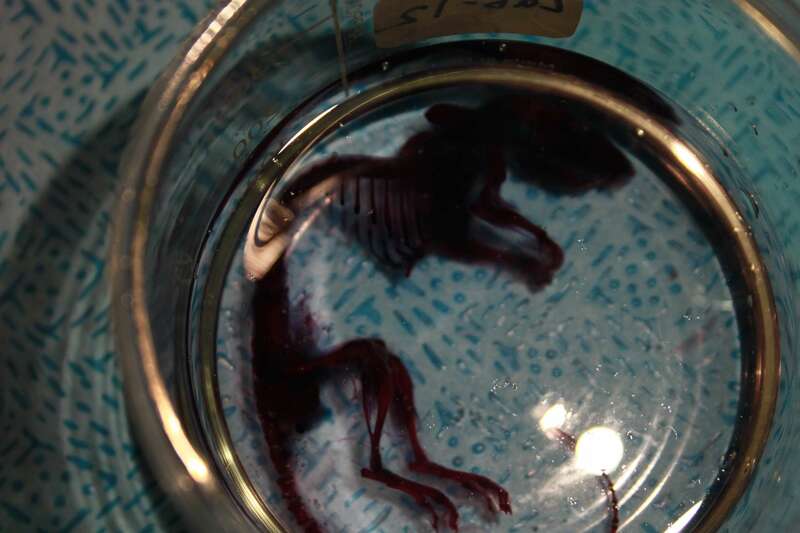 What does it take for a local network of scientist to make a bustling science hub this strong? Is it an influx of funding and resources or is there more to it?